We as human beings seem to always become stuck in our ways. The same routine welcomes us day after day. For some, these routines are inevitable and cannot be changed due to vital reasons. However, for most people, it seems they become bored in their routines, yearning for something new, yet doing nothing to change it. Change can be scary and the uncertainty of what it may bring is the cause of many people hesitating to try it, but it can do wondrous things for the soul as author Joshua Pantalleresco focuses on in his epic poem The Watcher. Dragons have made humans their slaves, making them work for reasons unclear. One young boy’s job is to sit atop a tower to watch for foul weather, but as he gazes off at the horizon day after day, he begins to wonder what else is out there. Achieving what no human has done before, he escapes the dragons into the unknown, curious to know what the world has in store for him, yet concerned if he will survive long enough to find out. Readers should not let the dragons fool them into thinking they are reading an epic poem that reads like something out of an epic fantasy series. Instead, readers should expect to take a step back, really think about where they are in their lives, and where they would like to be. “[The world] will make you large like it is if you let it” (Pantalleresco 43). This is only one powerful statement of many Pantalleresco shares in The Watcher. He shares amazing wisdom and insight into the human soul all within a short epic poem where the dragons play a semi-minor role while a young human boy takes the lead. While the dragons’ roles may not be as large as readers first believe, they do play a vital role in shaping humanity. Dragons have arrived on the planet somehow and want humans to serve them and harvest for them for reasons unknown. While it would have been interesting to learn more about where they came from, why they came to Earth, and how long they had been ruling the humans, Pantalleresco poses an excellent question through them. History has proven time and time again that humans are selfish and believe they are stronger than anything else and can take over anything they want. This is not the case for every individual human, but for humanity as a whole, it unfortunately is. However, when something stronger comes along, it really puts a mirror up to humanity’s face: Is this what humanity was… is? Is this what humanity has always been and is doomed to remain? Is it possible to still change or is it too late? 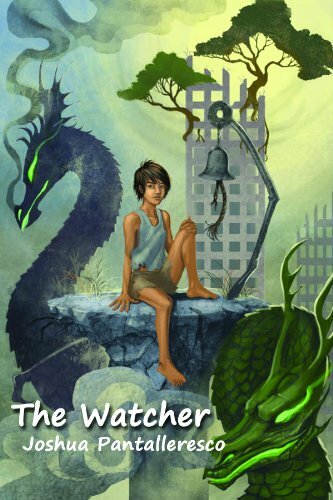 The Watcher is a rare find when it comes to writing that makes readers take a look at their own lives and at humankind. Within a short epic poem, Pantalleresco looks into the human soul and uncovers perhaps the biggest fear, yet deepest longing any human has: for change… for something new. “This book is dedicated to those that believe that there is more” (Pantalleresco 5). Just from his writing and his dedication, readers will be able to see the author as a positive person and a believer in there being more out there for everyone. And, using quick, yet descriptive detail, Pantalleresco is able to paint an incredibly vivid picture within the readers’ minds and these descriptions are accompanied by beautiful drawings by the talented illustrator Florence Chan. 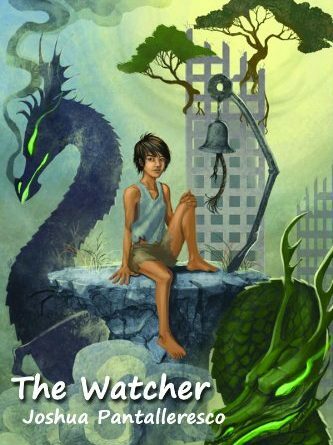 The Watcher could have easily been turned into a novel or book series; however, this short epic poem makes a quick impression and leaves a lasting effect with any reader and should most certainly be the next work to read on anyone’s list.